The incredibly stylish and luxurious Malibu is a highly regarded modern development within walking distance to Puerto Banús along the beach, and only a few minutes’ drive along the prestigious Golden Mile to Marbella town. Situated just a few short minutes walk to the west side of Puerto Banus, this development comprises 72 stunning contemporary apartments of 2, 3 or 4 bedrooms. They are all immaculately finished with absolute attention to detail and quality demonstrated throughout by the exquisite, high gloss floor to ceiling high marble panels, integrated sound systems and superb home intelligence system. This upmarket project includes an indoor gymnasium including the most up to date equipment, two large jacuzzis, steam room and sauna. Additionally, there are two outdoor pools, one of which is a magnificent huge lagoon pool, unequalled on the Costa del sol. The lagoon style pool is surrounded by lush tropical gardens and complimented by a large 50 metre heated outdoor pool for use throughout the year. The outdoor pool is surrounded by beautiful decking and scattered with picturesque white umbrellas and sun loungers. Malibu provides its residents with impeccable security, each owner having a personal elevator code to take them to their respective floor, where you then enter into a secure and private hallway exclusively for your apartment. In addition to this, there are 24 hour security personnel constantly patrolling the grounds, alongside infra-red and motion detectors surrounding the perimeter. Malibu offers the most spectacular sea views from every apartment and even when strolling around the tropical grounds residents can enjoy the uninterrupted sea views as it lies literally on the water’s edge. For a buyer searching for Marbella’s most upmarket and contemporary urbanisation, there is no need to look beyond the very beautiful Malibu. 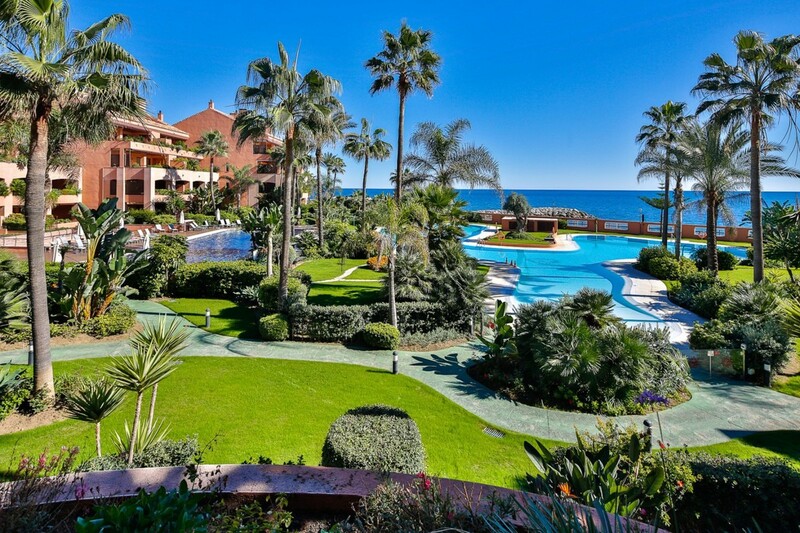 Apartments priced from €1,200,000 please contact us for full availability.